This has nothing to do with Krazanich' performance as CEO. Read more about Intel's CEO, Brian Krzanich's resignation. I think the whole "non-fraternization policy" thing is just an excuse to get him out due to AMD's success and market growth. Not exactly his fault that AMD is doing well, what can he do about that. I agree that better management could have helped get 10nm out faster, as that is why were are still on enhanced Skylake. 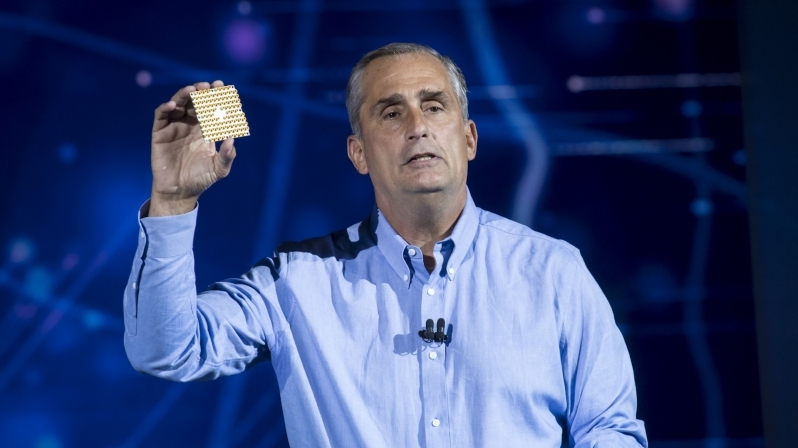 Under Krzanich Intel has gotten more profitable than ever before, with 2018 possibly being its best year yet. 2019, however, is a little up in the air. You say that it is an excuse, but its hard to deny that it is true. The guy has a Wife and a few kids, so there is no lie here. You would fabricate a more flattering story. Breaking company policy is a serious offence, especially for a CEO, who has the ability to accelerate the careers of others and allocate bonus'. This is a Clarkson punch kinda situation, a line was drawn and crossing it has a consequence. That being said part of me is glad to see him go, as he should have sorted out the manufacturing group's issues ages ago. We may soon have a 4th Generation Skylake-based architecture on our hands soon, that's not good. Intel should not have let TSMC get ahead of them. Nobody is ahead of them just yet. I kinda feel sorry for the guy. He's just a normal bloke: horny and greedy. I try not to pin the blame on one guy. A lot of the decisions and products Intel have made in the last five years have confused and disappointed me. I can't blame Krzanich (how on earth do you pronounce that?) for all of that. I wouldn't have resigned. Who cares honestly. It was a past CONSENSUAL RELATIONSHIP. People these days are far to sensitive. I could hold a door open for a women and get yelled at because she's independent and can open her doors. Agreed, It's gone a bit too far nowadays. The timing of what everything Intel has been doing and AMD making a huge return to the market is WAY too convenient to not be at least an influence. I think what two people do in their own time is their own business and employers have no business interfering. As to some of the decisions intel have made in the last 5 years, I agree that they have been very poor. One huge mistake was not launching and establishing a desktop market for CPUs with a lot more than 4 cores, this has given AMD the opportunity to get established with their Ryzen family of CPUs. Before Skylake came out a few years ago, I initially thought it was going to be the next major architectural leap like Sandy Bridge was. Broadwell was the first 14nm CPU, but it was clearly immature for the desktop and was better suited to low-end parts and portable devices; and Skylake would be the refinement of that plus more cores. When it wasn't, I was both surprised and disappointed. I genuinely was left scratching my head. But if Skylake was what Coffee Lake is now, Ryzen would have been a difficult sell for a lot of people. And if Kaby Lake or even Coffee Lake was then an 8-core CPU, Zen would have had to have been either much cheaper to remain competitive or be delayed until they could get the core count/frequency up a few notches. To me, Intel handed AMD a chance to be competitive. They gave away their dominance willingly.